To develop KNRCL as a centre of excellence in the field of Infrastructure Services by striving continuously to provide ecofriendly solutions, adopting state-of the- art practices and commitment to quality through motivated human resources. KNR constructions Limited ( from know written as "KNRCL" ) is an ISO 9001:2000 Certified company and listed in Bombay Stock Exchange Limited (BSE) and National Stock Exchange of India Limited (NSE). KNRCL is a multidomain infrastructure project development company providing (EPC) engineering, procurement and construction services across various fast growing sectors namely roads & highways, irrigation and urban water infrastructure management. Our project execution strength primarily is in road transportation engineering projects namely construction and maintenance of roads, highways, flyovers and bridges wherever integral to the projects undertaken. 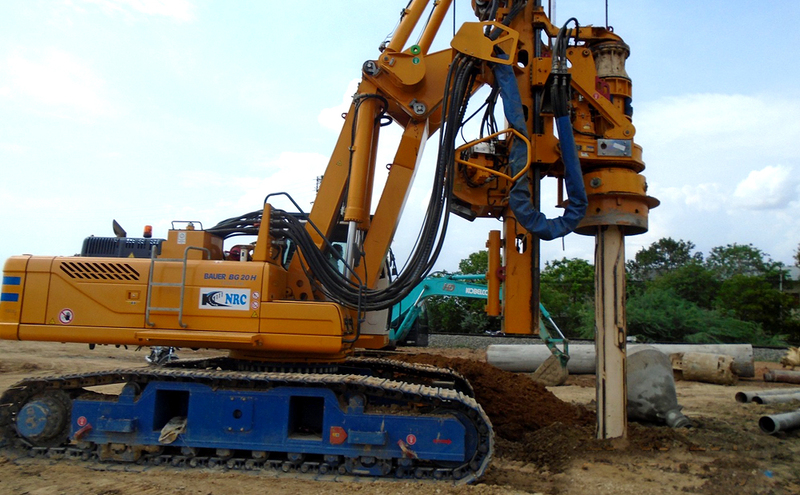 KNRCL incorporated in 1995 by professionals having experience in the field of infrastructure development. In 1997, KNRCL acquired at their book values the assets and liabilities of M/s K. Narasimha Reddy & Co. ("partnership firm") started by Shri K.Narasimha Reddy who is a promoter of KNRCL, this partnership firm was engaged in the business of undertaking civil and mechanical contract works since 1979. In the year 2008 KNRCL had opened up for Initial Public Issue and raised Rs.1338.67 millions and got itself listed on Bombay Stock Exchange Limited (BSE) and National Stock Exchange of India Limited (NSE). We have in the past executed infrastructure projects independently as well as through joint ventures. Currently, some of the road projects under execution are with our joint venture partners. As on date we have 20 projects on hand across various states in India covering Arunachal Pradesh, Bihar, Madhya Pradesh, Andhra Pradesh, Karnataka, Kerala and Tamil Nadu. KNRCL has the ability to bid, execute and implement medium and large size projects across various infrastructure segments. KNR is planning forays into new business areas while strengthening existing business activities and investing in infrastructure. Transformation - Shaping the future now. Over the years, KNR has developed a significant and diversified presence across the construction and infrastructure domains in India. With a unique combination of expertise drawn from wealth of experience and a consistent track record of performance, the company has emerged to be the most trusted name in the Industry. Transformation being the key to gaining the cutting edge of leadership in an increasingly complex infrastructure landscape, the company is poised to bring a transformation and impart an increasingly effective role to all related business activities, thereby reinforcing its position of leadership in the future. Client satisfaction would continue to be the guiding principle of the company's strategy for growth. Significant experience and strong track record in, timely and successful execution of projects. Repeated orders received by us on continuous basis. Qualified and experienced employees led by a proven management team. Expertise in sourcing and maintaining supply chain for raw material. Maintain performance and competitiveness of existing business to capitalize on huge investments expected to be made in infrastructure development especially in segments where we presently operate. Focus on EPC Projects in the infrastructure sector. Focus on projects involving higher degree of engineering skills. Leverage our business growth by identifying and forming strategic joint venture relationships for mutual benefit through sharing of resources and business skills.